The quality mics you need at a price you can't pass up. 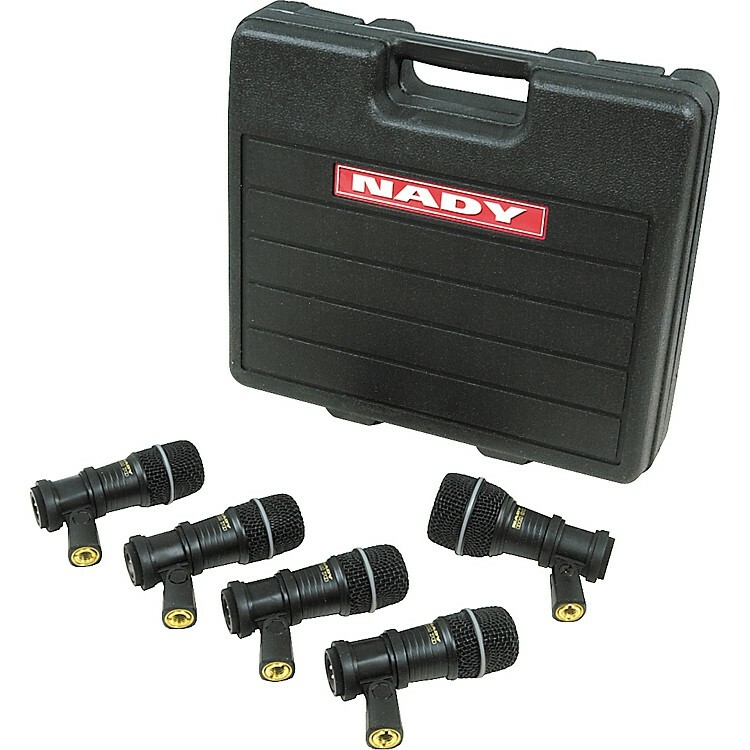 The Nady DMK-5 Drum Mic Package includes 4 DM70 tom/snare mics, one DM80 kick drum mic, and a case. DM70s are perfect for miking snares, toms, and percussion with no bleed through from other pieces. With neodymium element for max output and super-high SPL handling capacity. The DM80 is specifically designed for kick drum with extended low-end response.